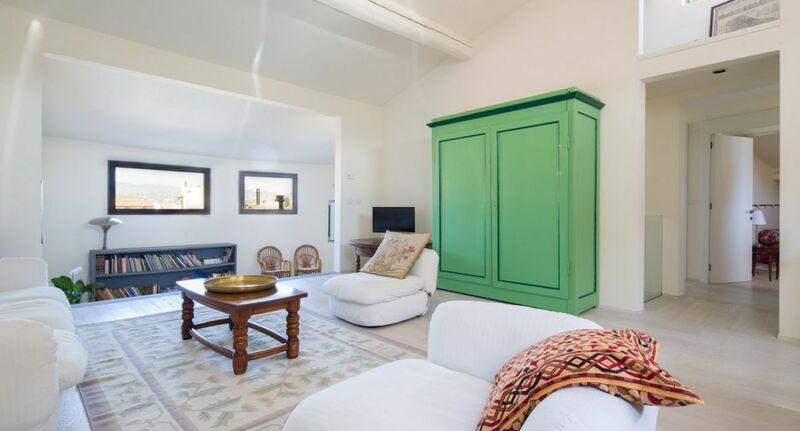 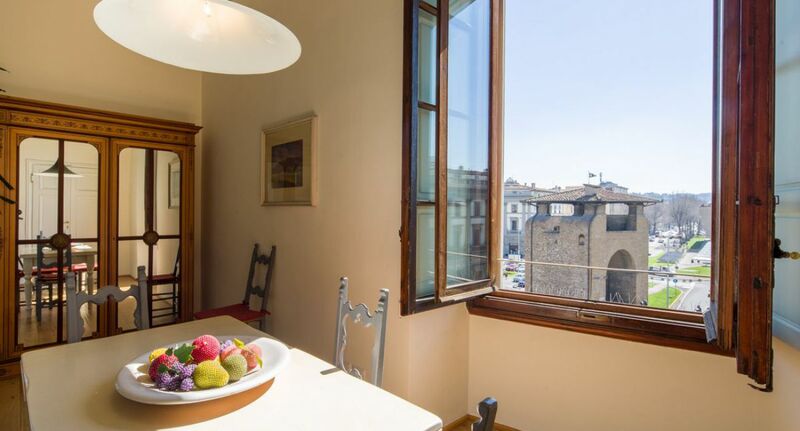 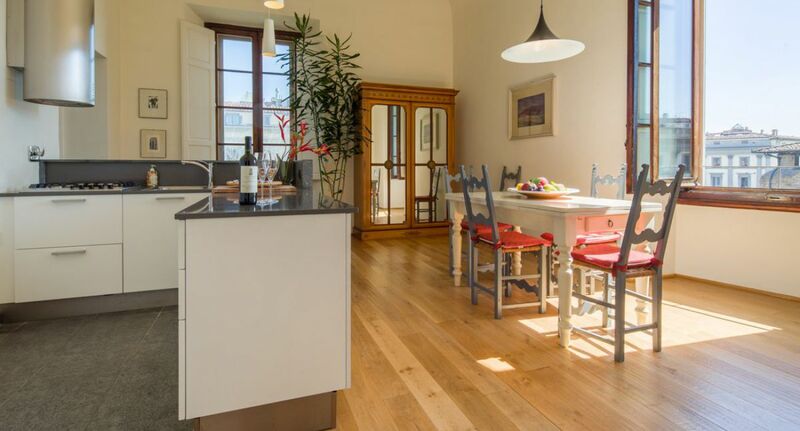 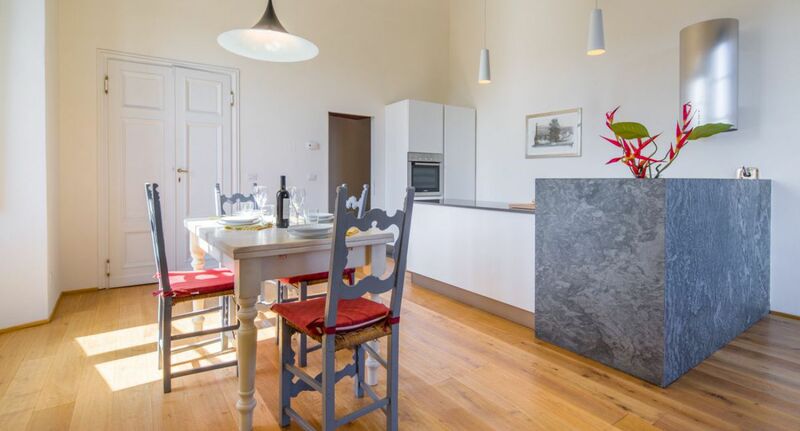 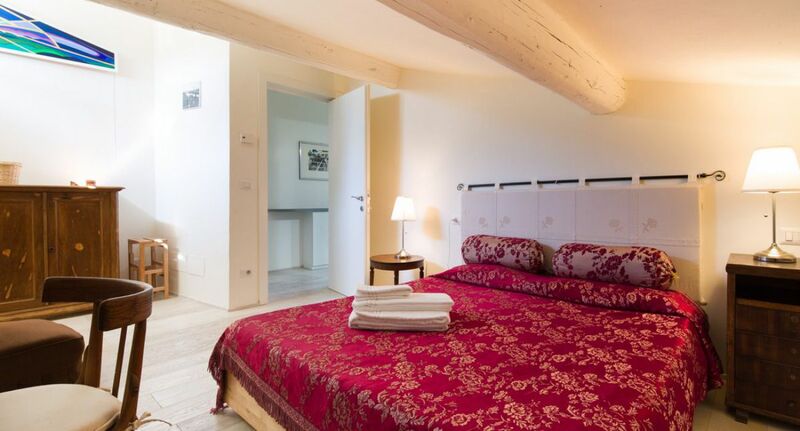 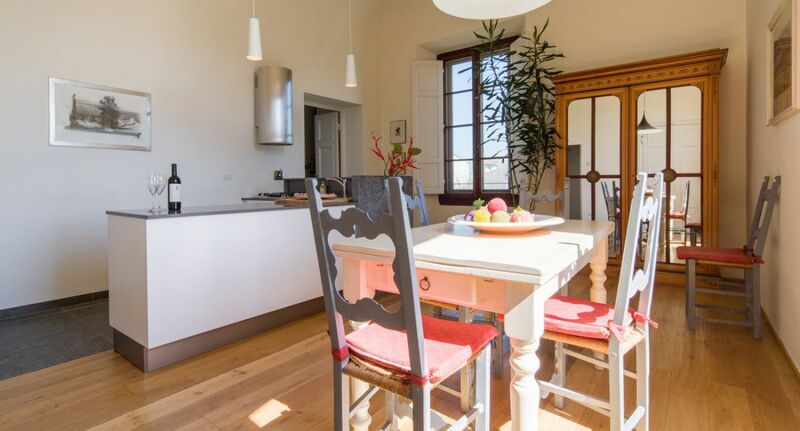 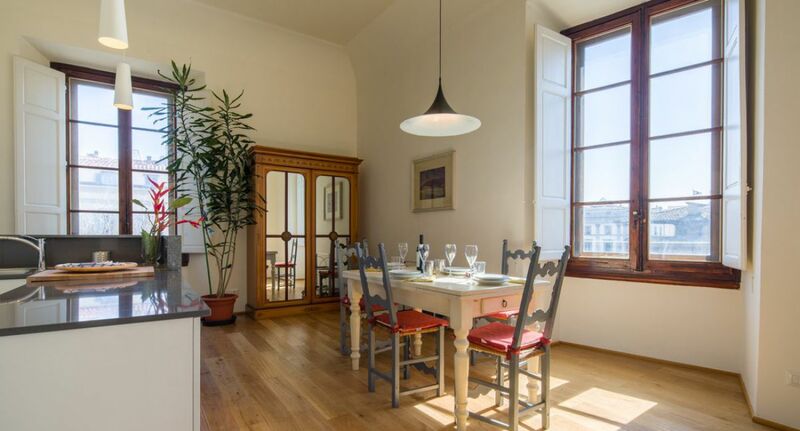 Big beautiful windows provide striking views onto the rooftops, the hills, the elegant square and the medieval Porta alla Croce, one of the ancient gates to the city, while showering every room in abundant natural light. 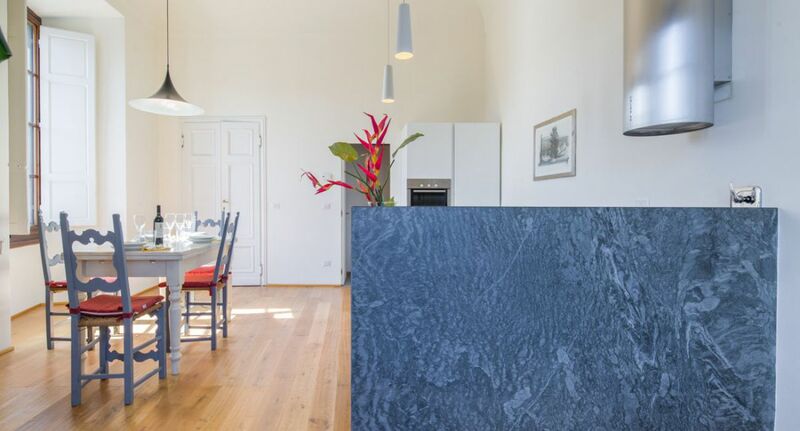 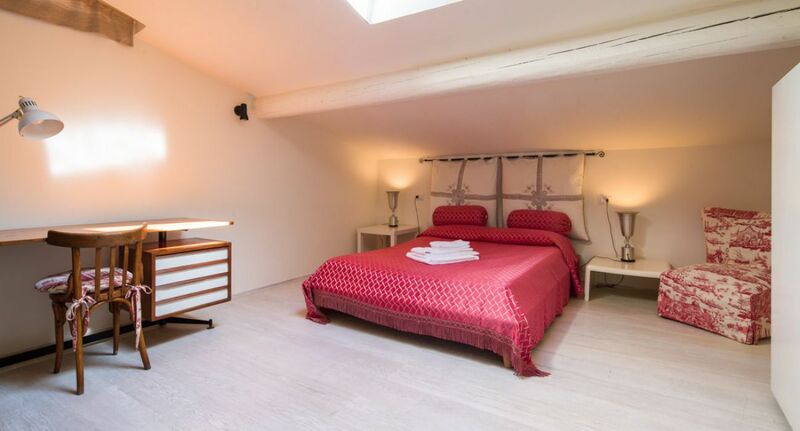 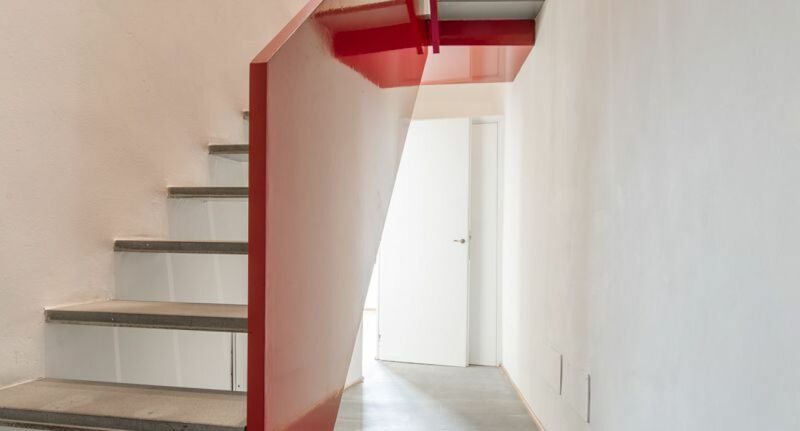 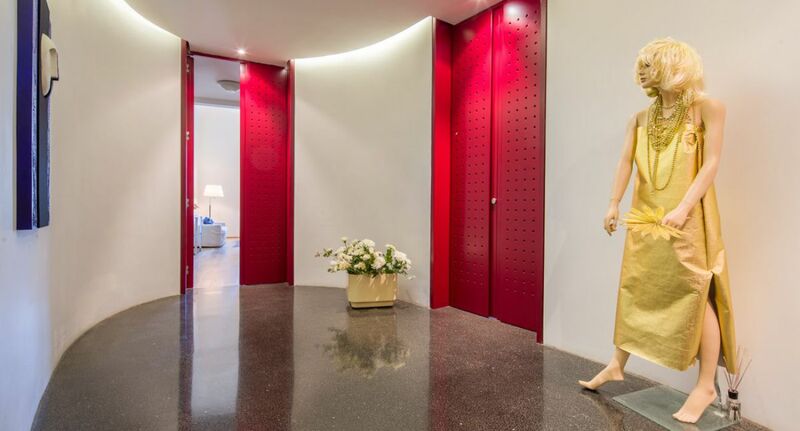 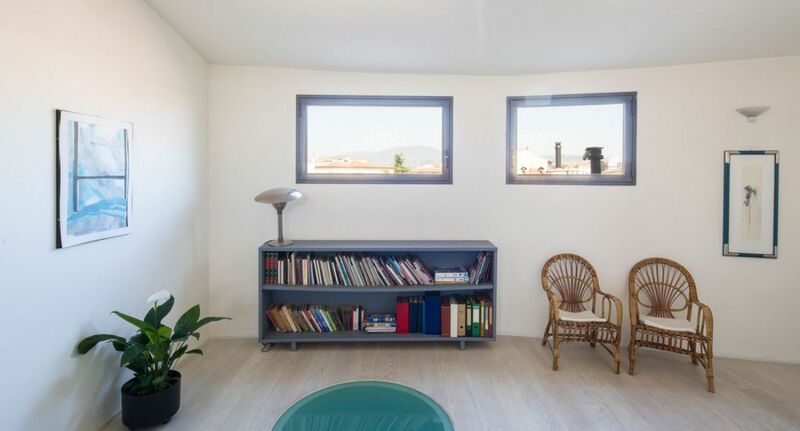 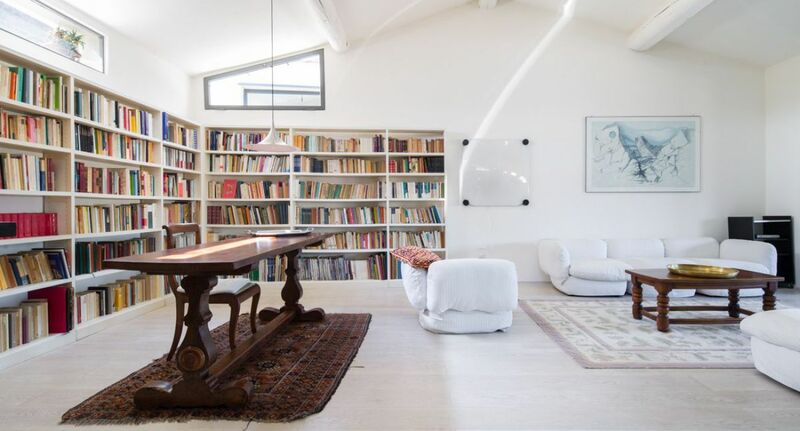 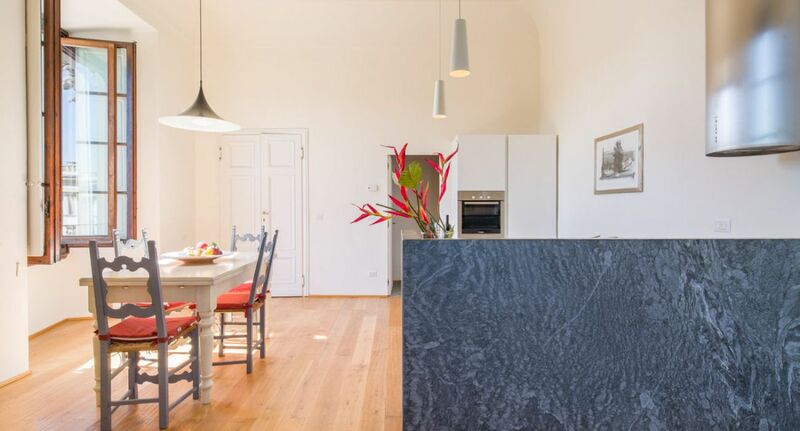 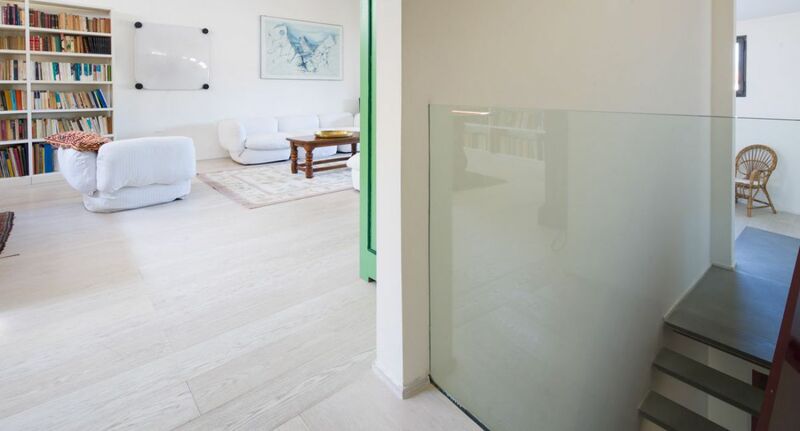 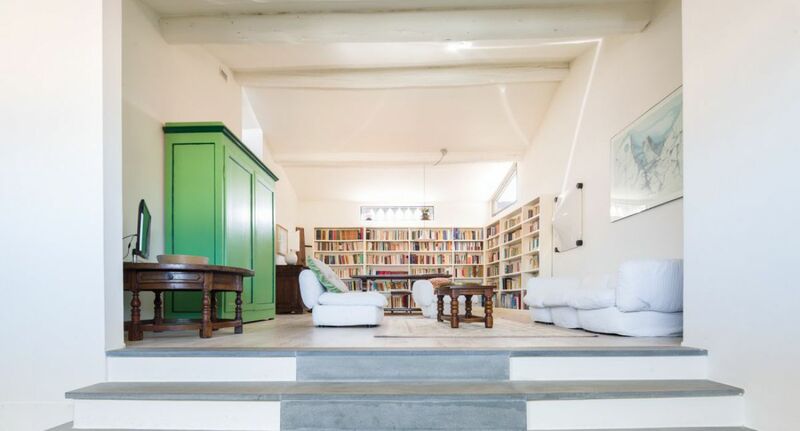 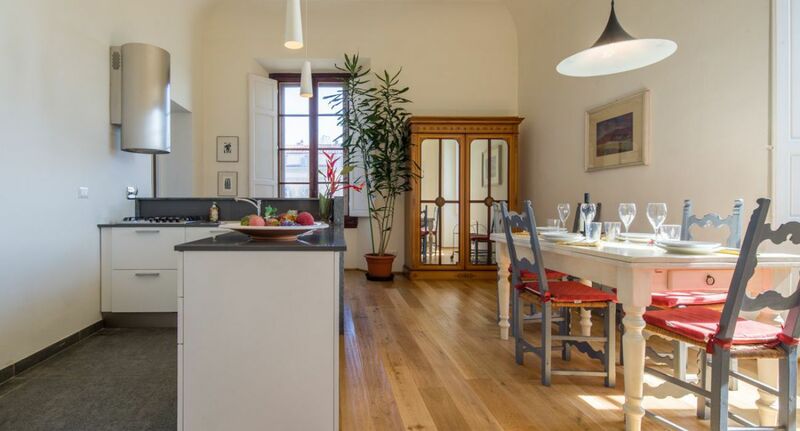 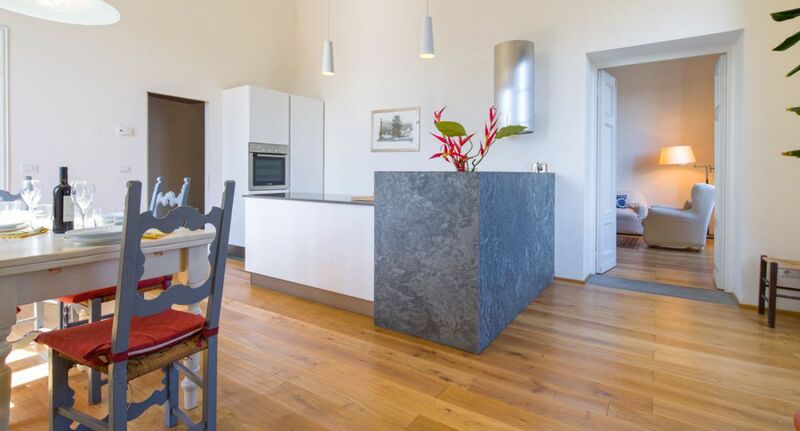 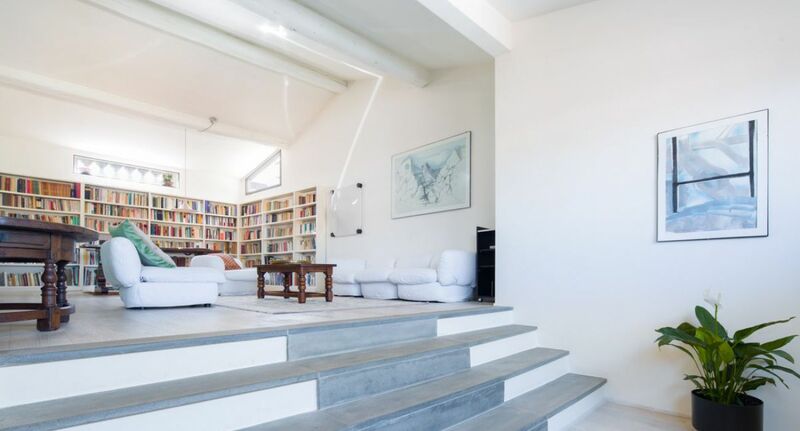 Vacuum insulation (as well as the building’s intrinsic characteristics) make the apartment incredibly quiet and peaceful for the historic center of Florence. 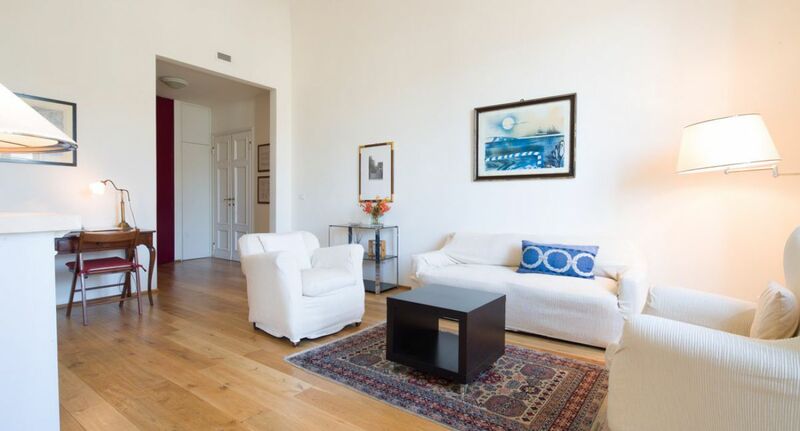 The property is equipped with a full range of modern amenities, including a state-of-the-art radiant cooling system that offers all the benefits of traditional air conditioning with much-better air quality. 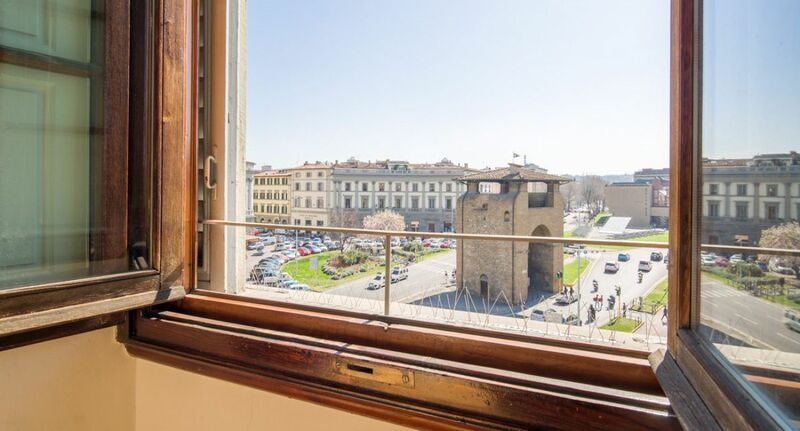 Stately high ceilings, hardwood floors, precious details and designer touches give the place an exclusive and relaxing ambiance which will surely make it one of the highlights of your stay in Florence! 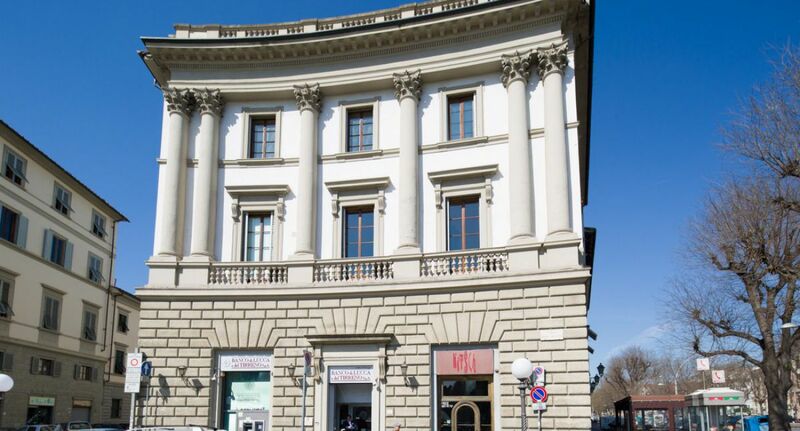 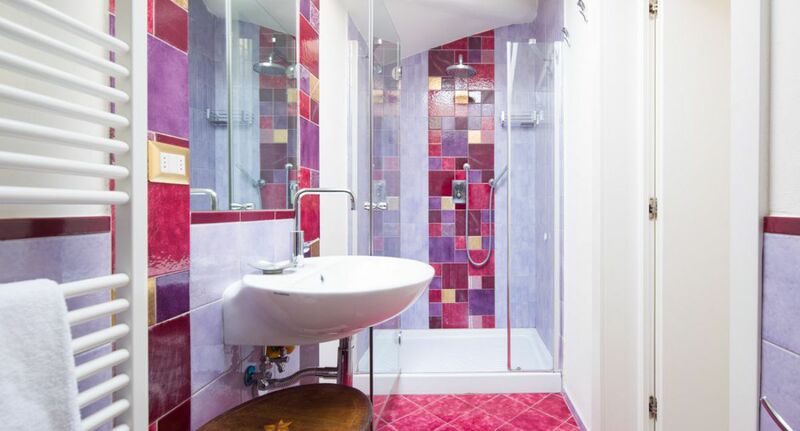 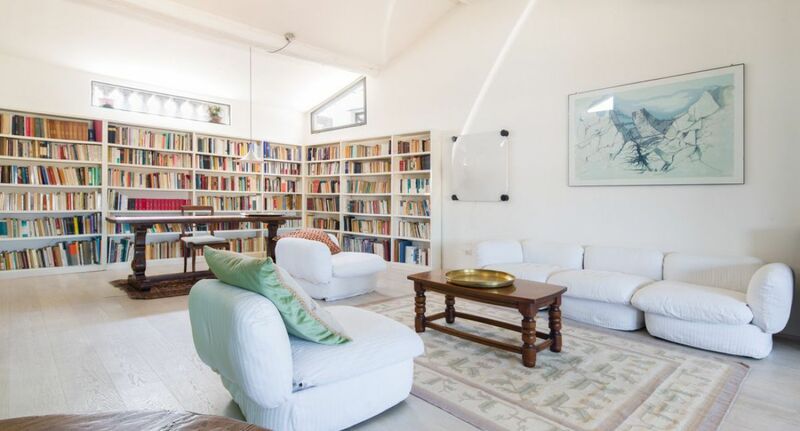 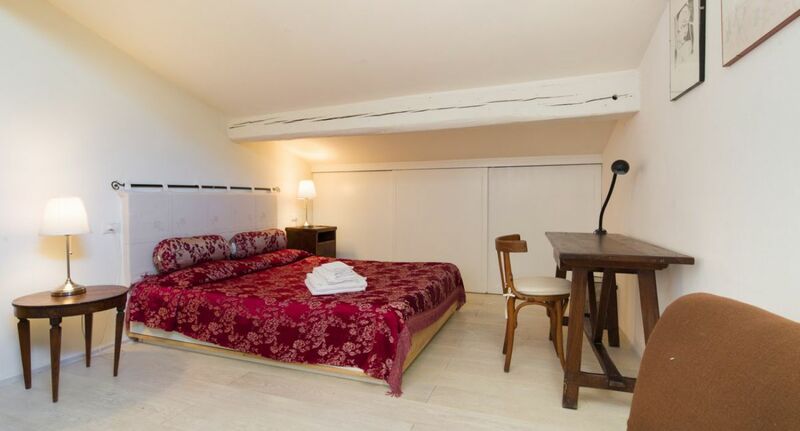 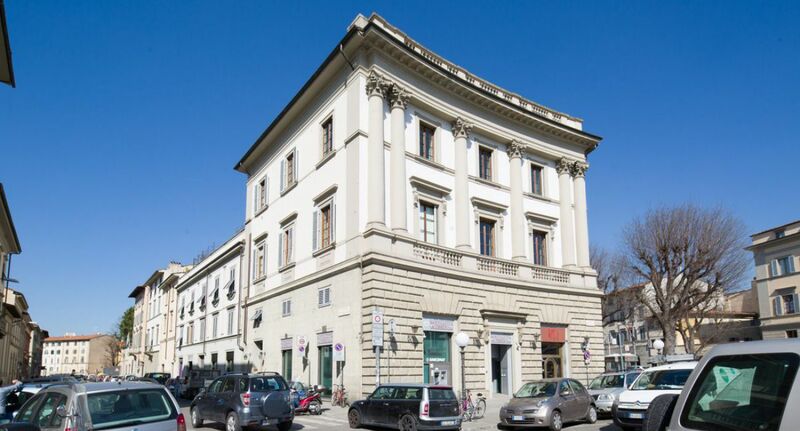 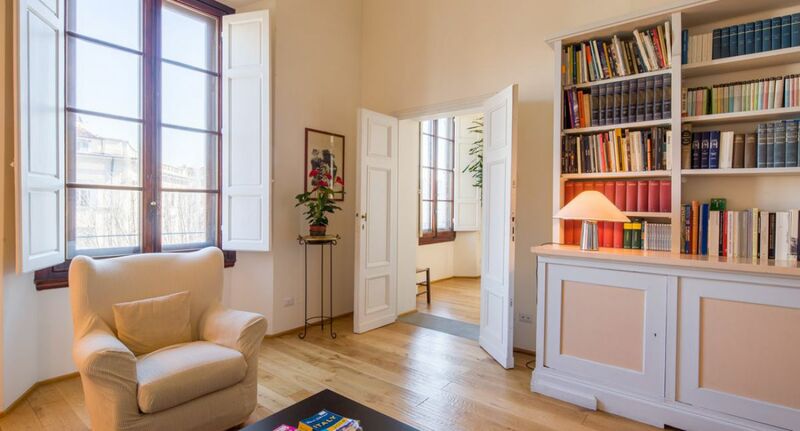 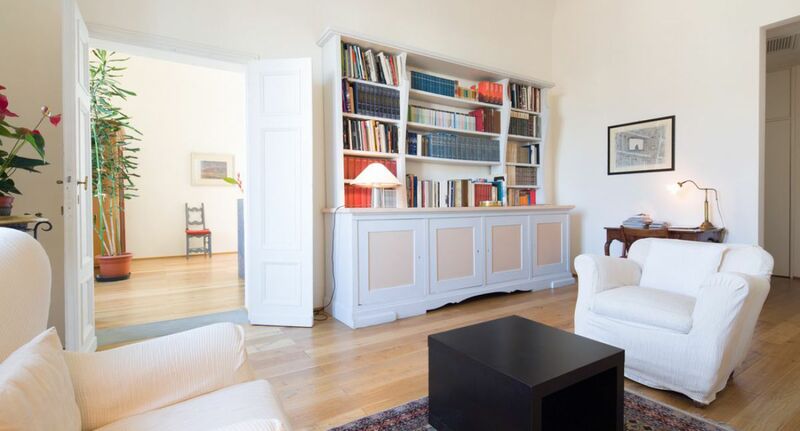 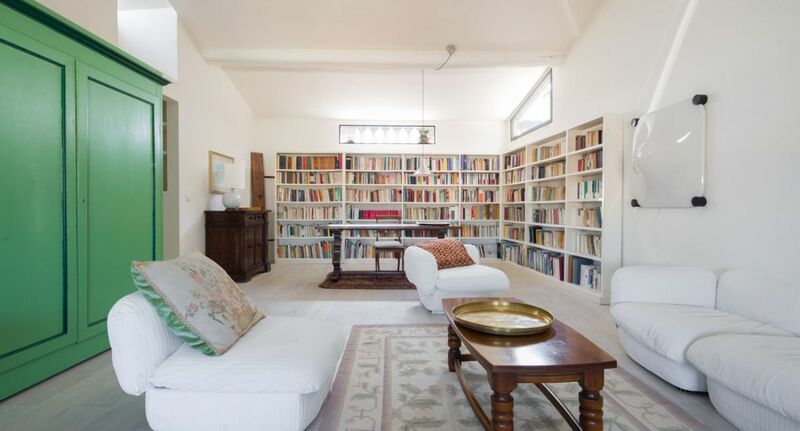 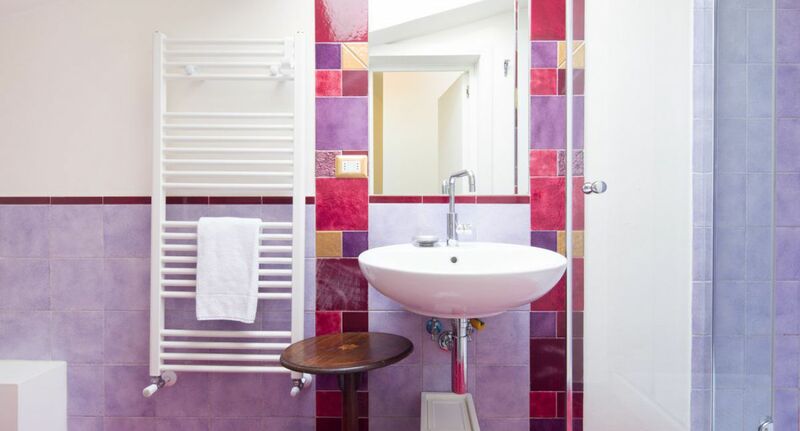 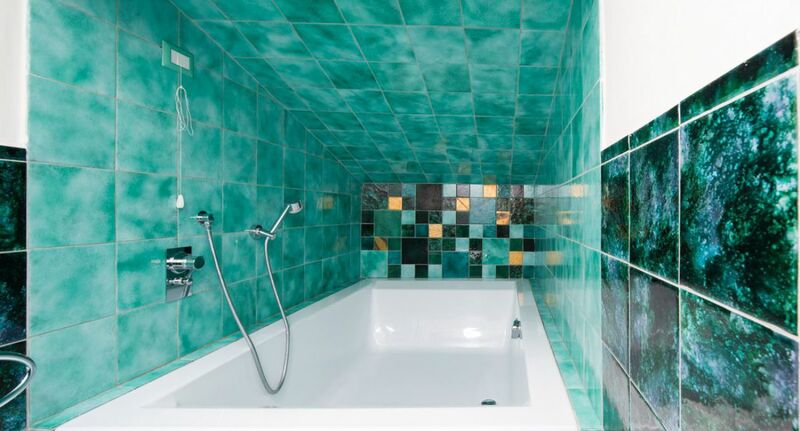 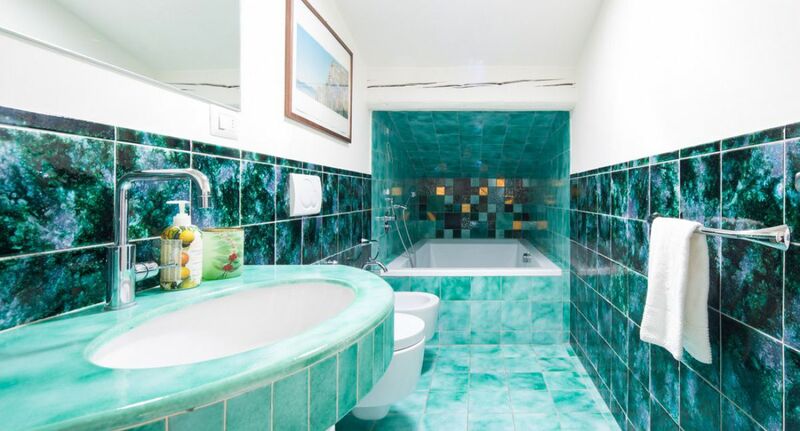 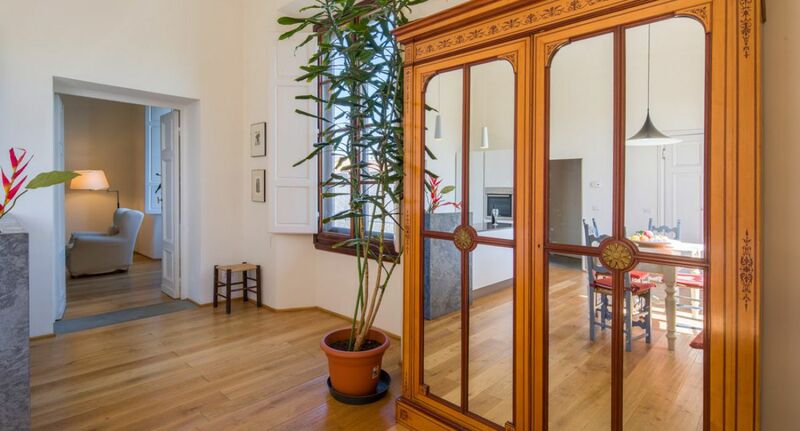 The apartment is located in the elegant Piazza Beccaria square, in the Santa Croce neighborhood. 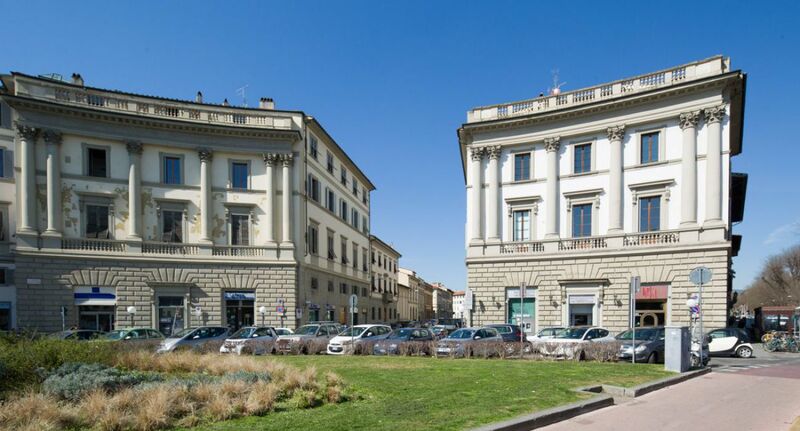 Surrounded by stately buildings and majestic boulevards dating to the late 19th century, when Florence became the capital of Italy, this is one of the prime residential areas of the city. 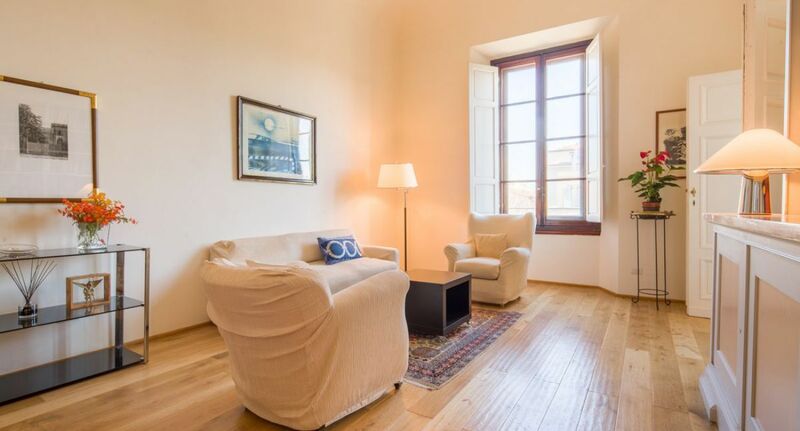 Within easy walking distance of all major attractions, including Santa Croce basilica (5 min), the Duomo and Ponte Vecchio (10-12 minutes), the apartment nevertheless enjoys an extraordinary degree of quiet and privacy which really sets it apart from other offerings in the historic center, as well as better access to services like parking, transportation, pharmacies and supermarkets.